We are always on the look out for the next exceptional apprentice, and in Tom we may have found him. 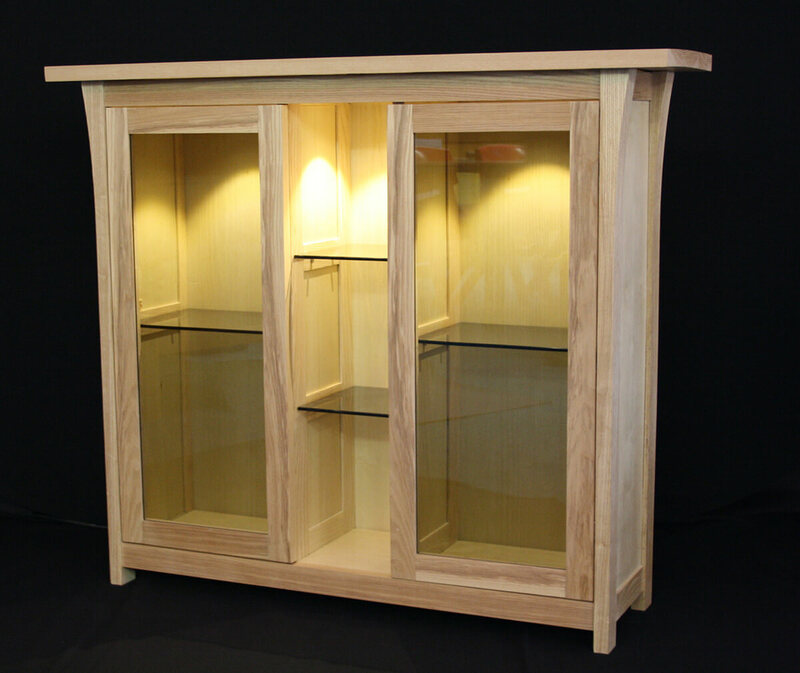 Tom is currently still at school doing his A levels, and as part of his Product Design coursework he decided to make a display cabinet, loosely based on one of ours. 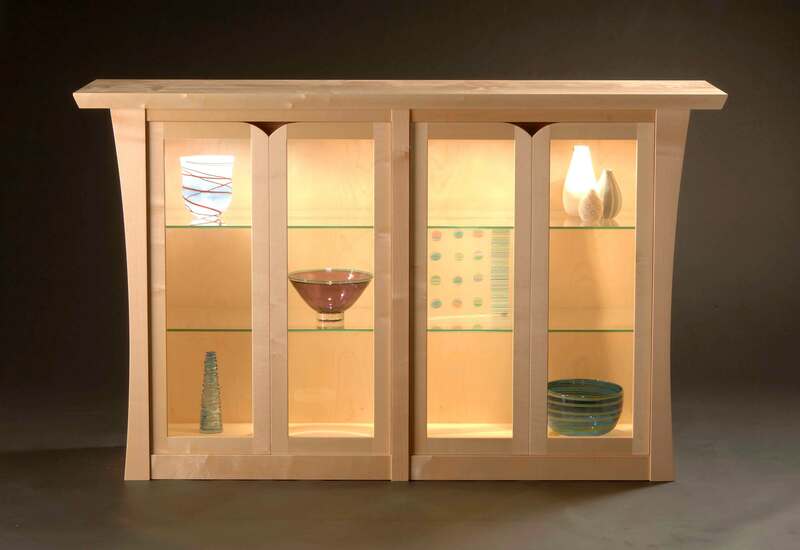 Display cabinets, one by us, one by Tom Cornick our next apprentice. 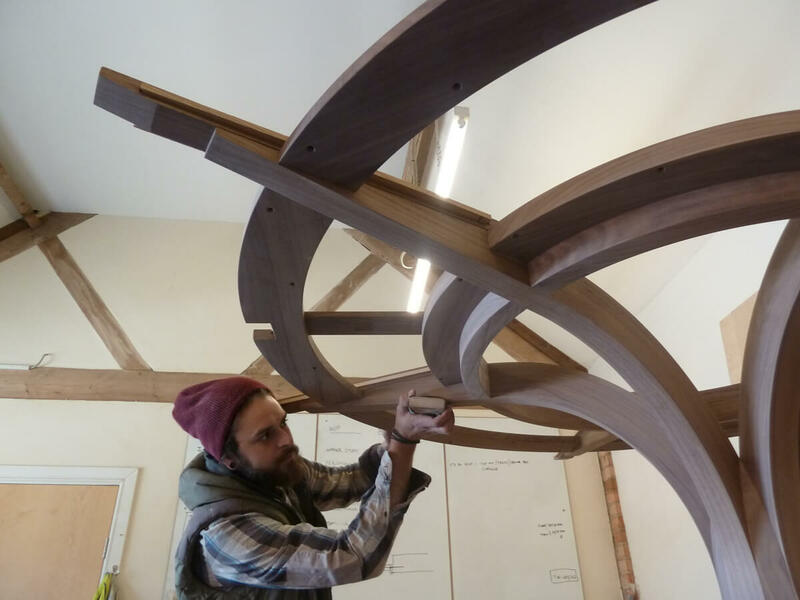 Seeing as he’s only ever made a simple coffee table before this was a really complex piece to take on – both in terms of designing and making. Tom will be starting with us in September on the Didac Apprenticeship scheme, where the formal training happens in the workshop one day a week and the rest of the time he’s working with us and / or on his own projects. It’s also time for us to say goodbye to our previous junior cabinet maker Dale Jones who is moving on to pastures new. He’s been with us for just over a year and we wish him well in his new employment.